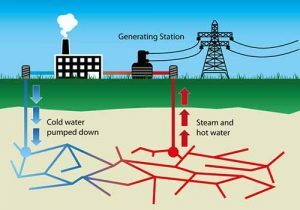 Home > Electricity > How Electricity is made? Electricity is a widely used source of the energy. Which we use all the time to power our homes, schools, offices and industries etc. Today almost every common household appliances use electricity as a power source. 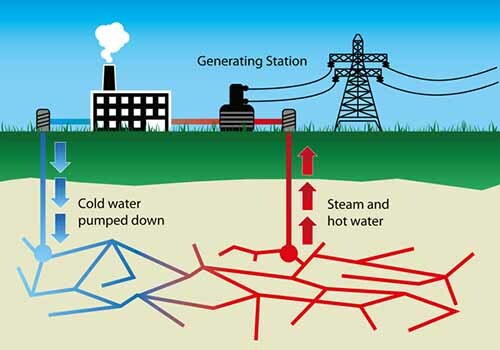 So, how this electricity is made and supplied to your homes? Let’s see a basic principle of electromagnetism to understand the production of electricity. 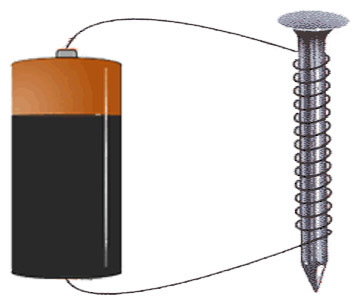 From a basic science experiment, we know that when a wire is wrapped around a nail and its terminals are connected to a battery, it becomes a magnet that is known as the electromagnet. It can attract other things that are made of iron or nickel (see how to make simple electromagnet). The opposite is also true when a bar magnet is moved back and forth inside a circular wound wire or a coil, it will produce electric current in that coil that can power a small bulb. This phenomenon of producing electric current with a magnetic is known as “electromagnetic induction”. It was observed by Michael Faraday in 1800s when he experimented by moving a bar magnet inside a coil. Electricity is made using the same principle as described by Michael Faraday. This principle is put on a device known as “Electric generator” to produce electricity. A generator is simply a set of coils around which magnets move to produce the electricity. Moving the magnets need an external force to move around the coils and keep generating electricity. This external force is obtained from other energy sources, but mostly by burning fossil fuels (coal, natural gas, and petroleum etc.). 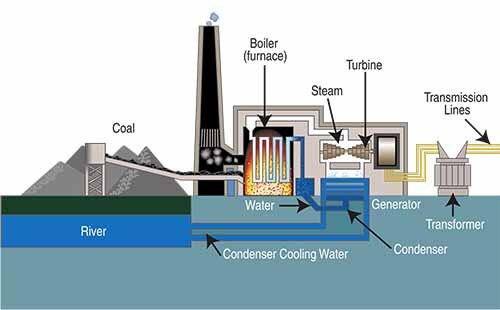 Burning the fossil fuel produces the heat, which is used to boil the water to make high pressurized steam. Then, high pressurized steam is used to rotate the fan of a turbine (A machine that converts the energy of moving fluid into rotational energy). Turbine is combined with magnets, which are connected with the fan along with a shaft. So, when the fan starts to rotate, magnets also rotate around the coils, and the electricity is produced. The first power plant to generate electricity was opened in 1882, in New York City by Thomas Edison to supply electricity. 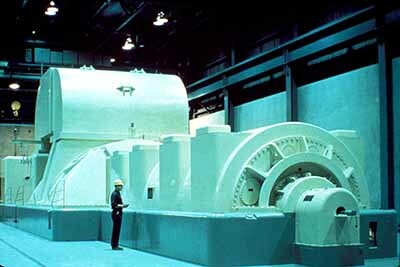 Today very large generators are used to generate electricity at power plants, which are located miles away. These generators are controlled by computers, but they operate on the same principle given by Michael Faraday. There many problems associated with the burning of fossil fuel. The main problem with burning fossil fuel is that they produce a lot of pollution and highly contribute to the global warming (an effect that raises the average temperature of the Earth every year, causing the climate to change). Fossil fuels are not unlimited, only limited resources of fossil fuels are available here on Earth. which are decreasing very fast, as the demand of their consumption is increasing. 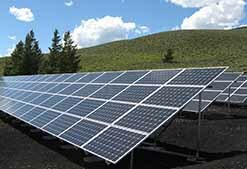 There are also other energy sources available to make electricity other than burning the fossil fuel. 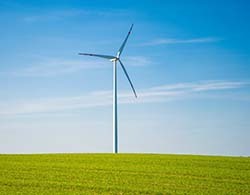 These energy sources are called renewable energy sources. They produce less or no pollution at all and don’t play part in the global warming. Some examples are solar energy, wind energy, geothermal energy and hydel energy. 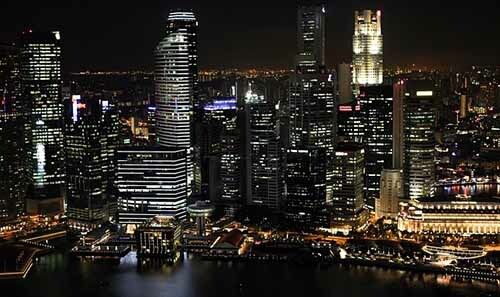 Many countries are already producing a significant percentage of their electricity from renewable energy sources. Electricity has really transformed our way of living. We are doing almost every work with the power of electricity. But, as we know, a large percentage of electricity that reaches you is made by burning fossil fuels. So, electricity must not be wasted uselessly. If you are saving electricity means you are less contributing to the global warming. 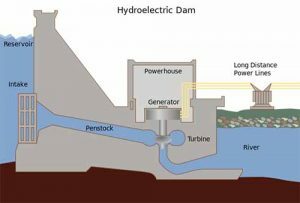 Abdul Wahab, "How Electricity is made?," in Science4Fun, April 13, 2019, http://science4fun.info/how-electricity-is-made/.